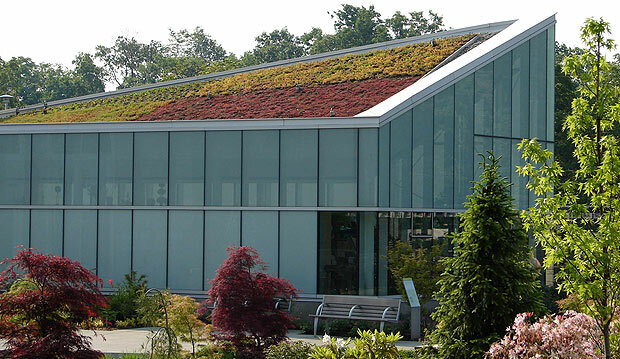 The green roof on the Dembroski Centre for Horticulture is over 2,400 square feet and acts as a shallow planter. The soil and plant roots absorb rainwater and pollutants, which helps with storm water management. Retaining rainwater on the roof takes some of the pressure off of the storm sewers. The green roof also acts as an insulator by reducing heat gain around the building by way of the “urban heat island effect.” Since the roof surfaces aren’t paved or black, there is less reflected heat, which reduces the load on the air conditioning units. Since the roof slopes from front to back, you get a great view from the second floor of the building as well as from the West View Terrace and even from Edwards Gardens. The roof provides not only an oasis of green that is pleasurable to look at, but also the opportunity to educate the public on this leading-edge technology. 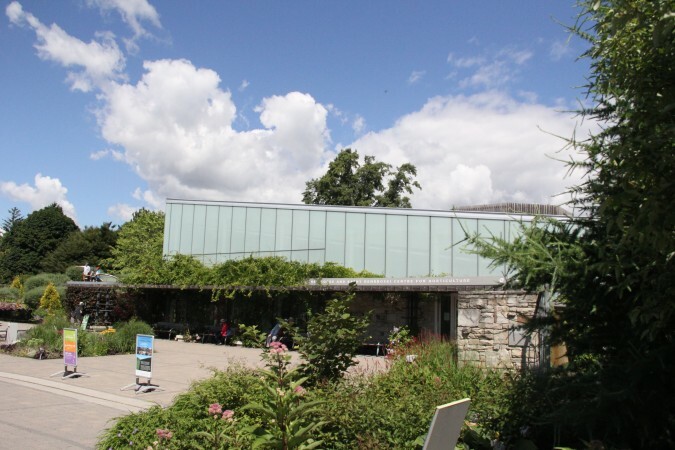 Last, but certainly not least, the green roof demonstrates Toronto Botanical Garden’s commitment to the environment and sustainable development. 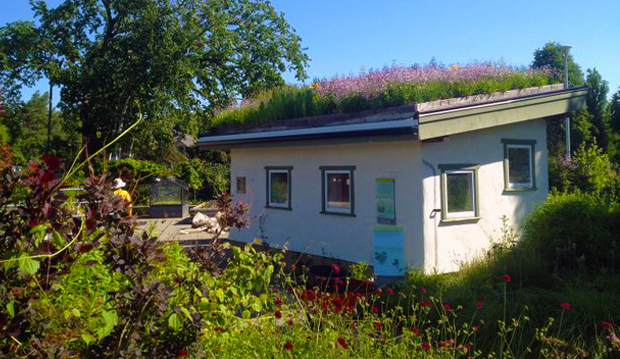 A green roof is an aesthetically pleasing alternative to traditional building materials. This roof is designed to give the appearance of a uniform carpet. The sloped portion of the roof was planted in 2005 with a mixture of four low-growing sedums: Sedum album, S. sexangulare, S. spurium and S. kamtschaticum. Once established, these drought-resistant plants require little maintenance and irrigation is necessary only in severe droughts. This form of gardening is known as xeriscaping. 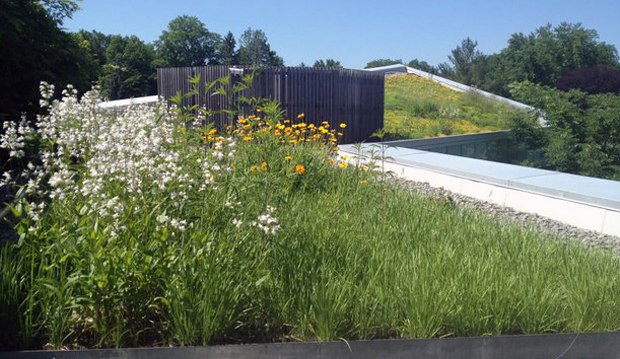 The flat portion of the roof has a variety of native plants and wildflowers. The green roof provides a number of environmental benefits, such as improved insulation for the building below, storm water management through plant absorption and filtration of excess water and improved air quality as plants absorb carbon dioxide and produce oxygen. 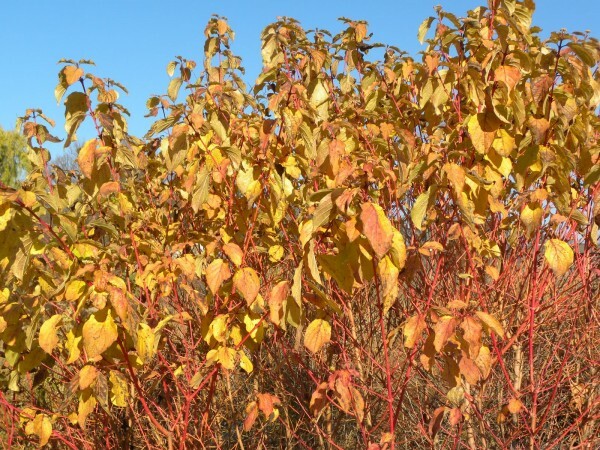 It also helps to reduce Toronto’s “urban heat island effect,” a phenomenon that causes cities to have higher temperatures than surrounding areas due to a reduction in the natural cover of plant material. Surfaces such as pavement and dark rooftops absorb solar energy and create heat. Plants release water, which uses up heat energy as it evaporates, a process known as evapotranspiration. Green roofs have been shown to significantly reduce the temperature of the air around the building on which they sit. The plants are rooted in a growing medium (or soilless mix) specifically formulated for extensive, non-irrigated and low-maintenance green roofs. Composed of recycled crushed brick, blond peat, perlite, sand and compost, this material resists compaction, thereby providing secure plant anchorage and excellent water retention.